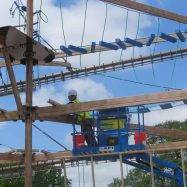 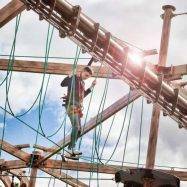 Over the past several years we have enjoyed much success with our high ropes courses at a wide range of venues around the UK. 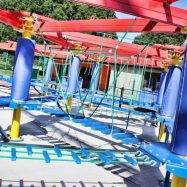 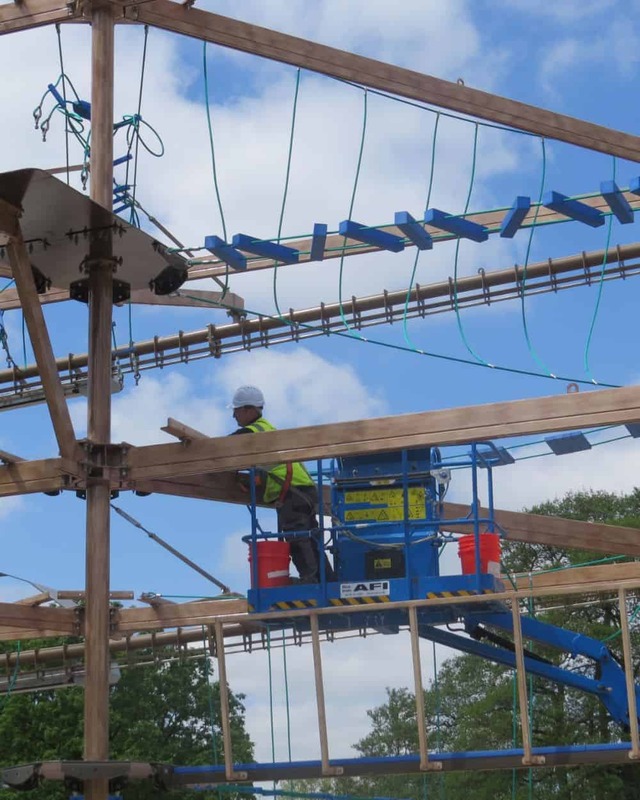 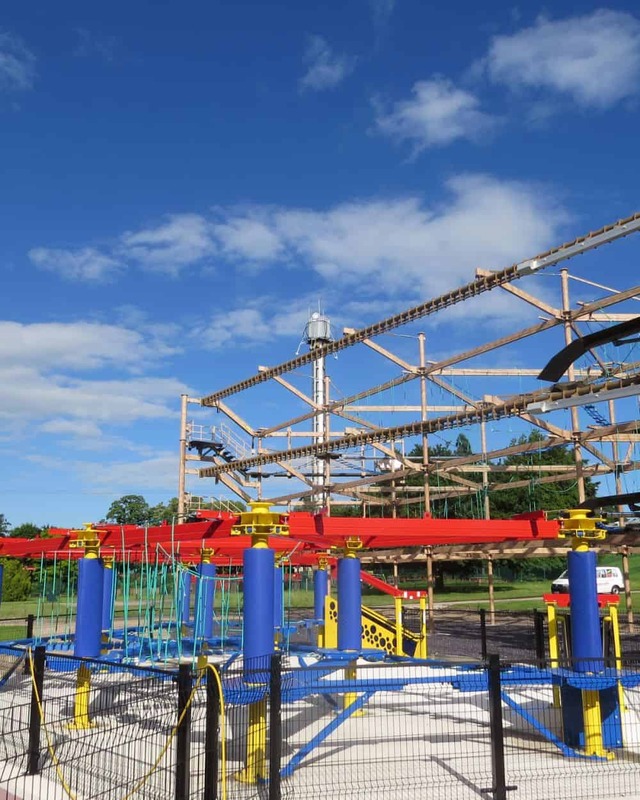 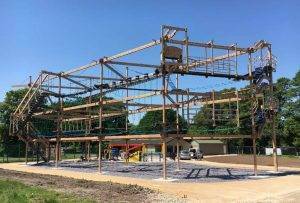 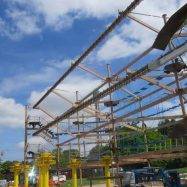 Our most recent installation, which is due to open soon, is that at Drayton Manor Theme Park in Staffordshire where we have built a large double level course, in conjunction with a Junior Sky Tykes course for younger visitors. 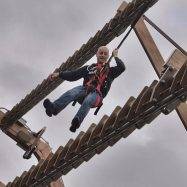 The Drayton Manor course also features two of our new Sky Rail zip lines, one on each level. 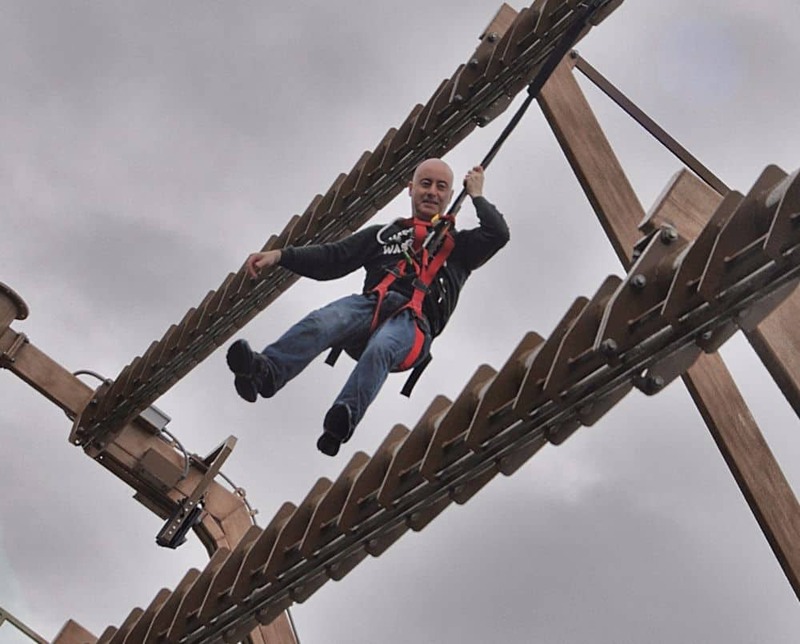 At 28m in length, these are the longest zip lines in Europe on such a structure and are completely automated with participants walking their slider straight onto the zip track. 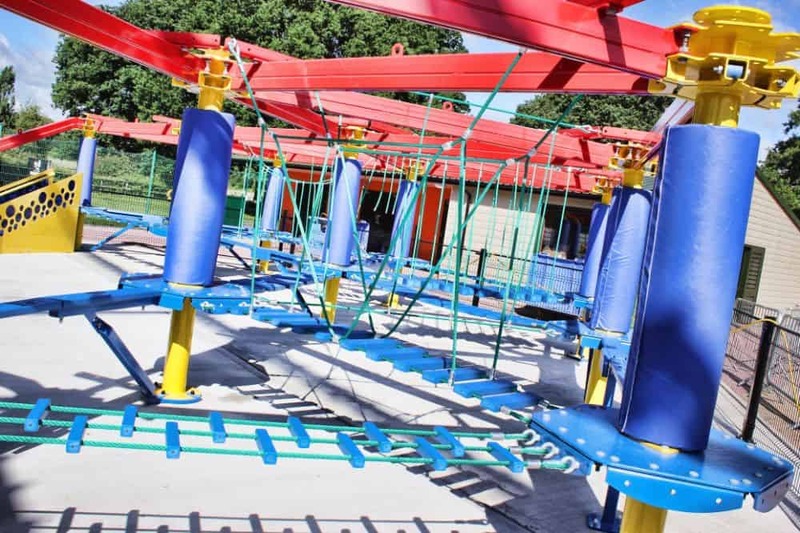 Likewise, at the other end of the zip line, the transition from zip cart to Sky Trail track is seamless, while the whole process is managed by a traffic light system and PLC controller. 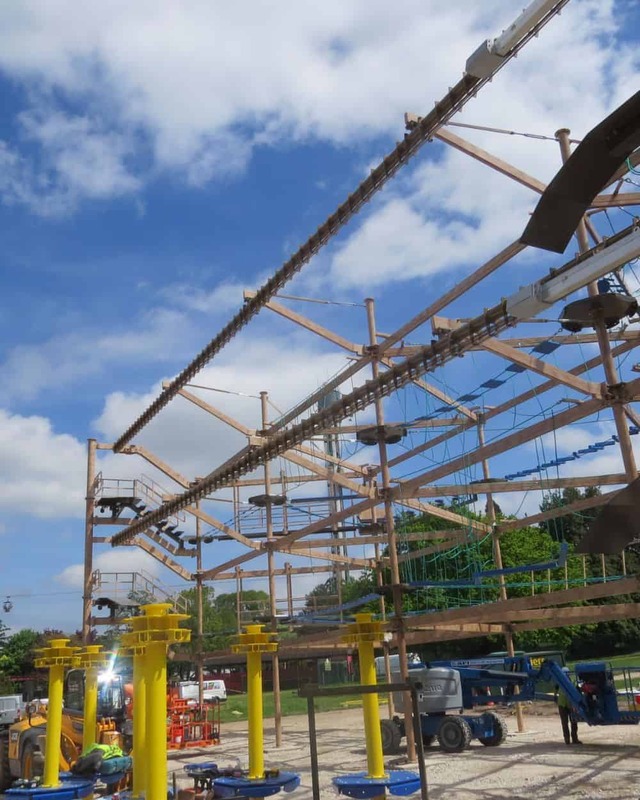 Significantly, the installation has also been designed so that it can be used in a number of different ways, depending on how guests are visiting Drayton Manor. 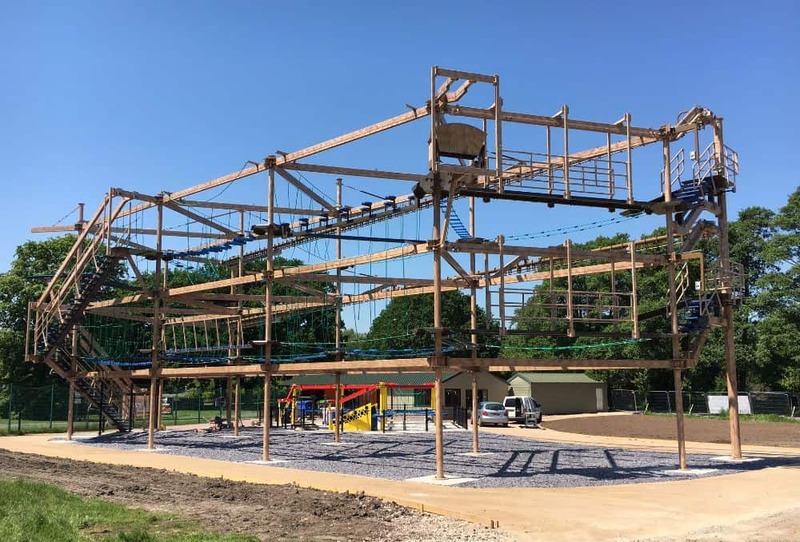 It has been located down the hill from the hotel and outside the park entrance so that it can be used by regular park visitors, by guests staying in the Drayton Manor hotel/campsite or by those just wanting to visit to use the course. 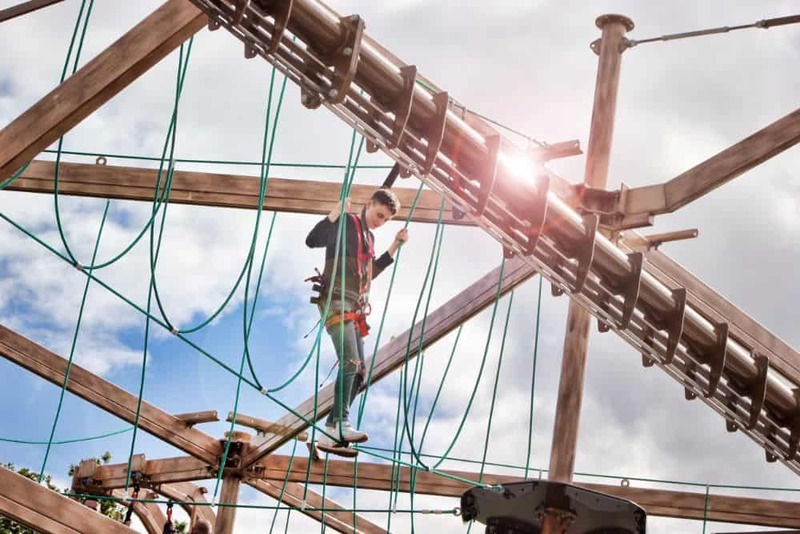 This very much follows the current trend for staycations, with perhaps a visit to the park one day, an overnight stay and then a family visit to the high ropes course the following morning. 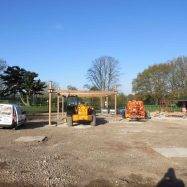 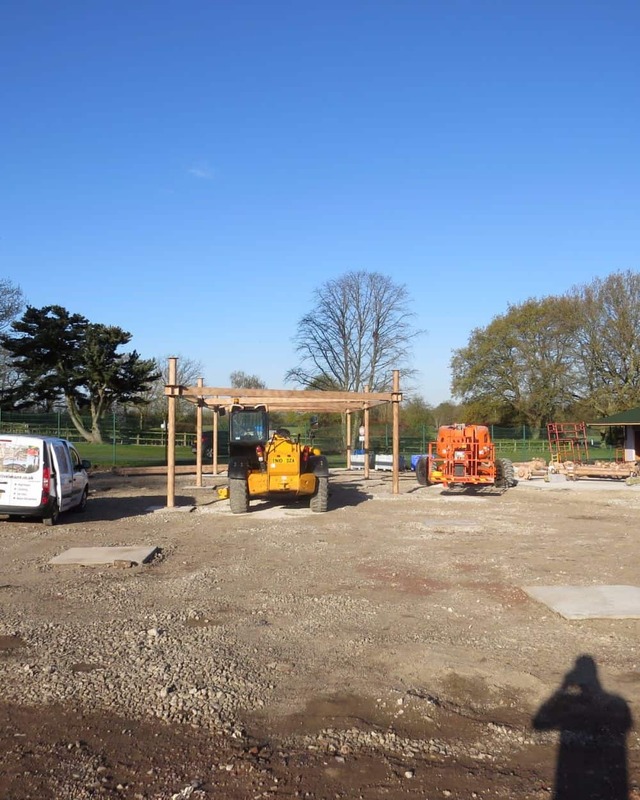 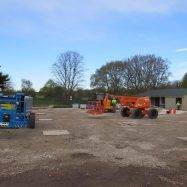 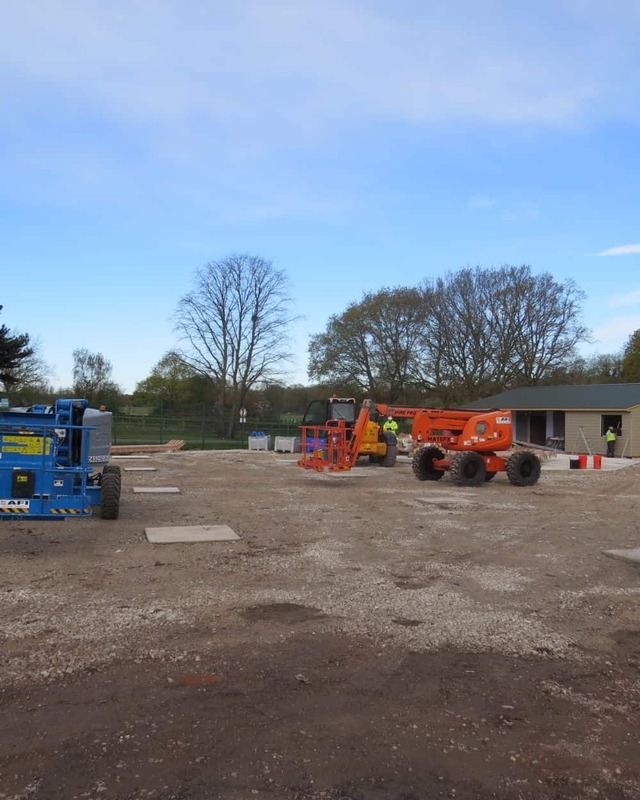 The whole area around the new installation has been landscaped and a large services building has also been built by the park for the attraction to house reception, drinks, lockers and briefing facilities. 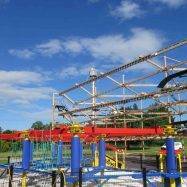 Drayton Manor’s Sky Trail opened to the public on the 8th July.